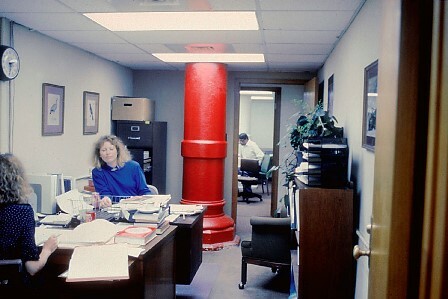 An overcrowded office in the Capitol Ground Floor, c. 1991. After nearly a century of use, the Capitol had become a building at risk. Overcrowding, haphazard remodelings and modern technological additions endangered the building and hid much of the original architecture. The Capitol did not meet basic contemporary standards for accessibility, life safety, building systems or energy efficiency. 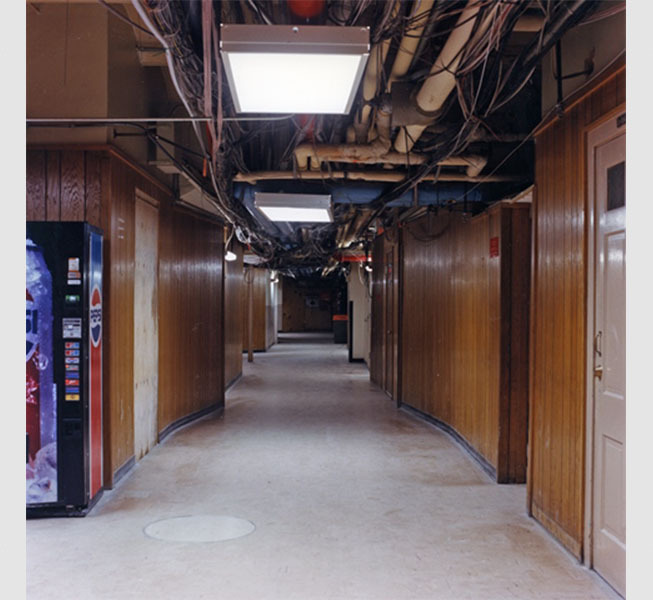 Hallway before February 6, 1983 fire. 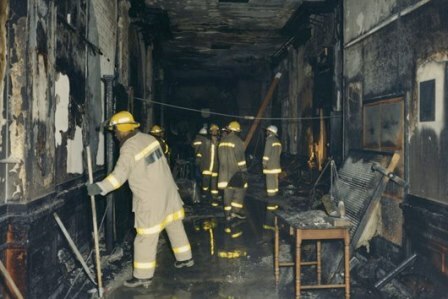 Surveying the damage in the Lieutenant Governor's Apartment where the fire started, February 6, 1983. 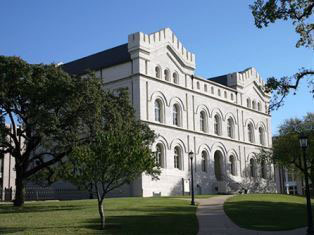 Image Courtesy Texas State Library and Archives Commission, 1983/118-38. 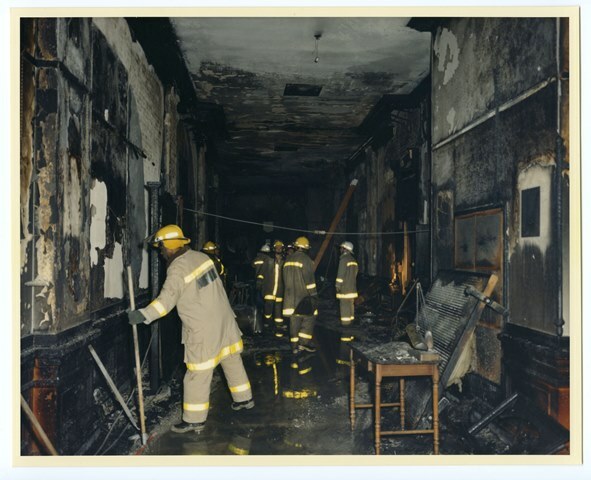 On February 6, 1983, a fire broke out in the east wing of the Capitol. Flames spread quickly throughout the second floor. 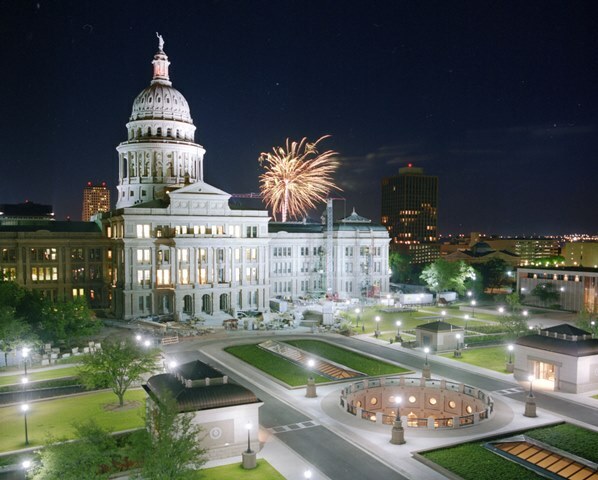 The heroic efforts of Austin fire fighters prevented the complete destruction of the Capitol. 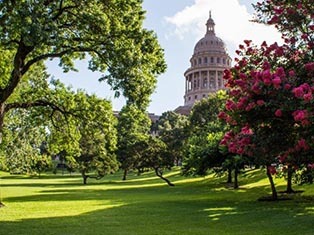 In response, the 68th Legislature created the Texas State Preservation Board to restore, preserve and maintain the Capitol, Capitol Grounds and the Old General Land Office. Like the Capitol itself, the Goddess of Liberty had deteriorated. Experts determined the zinc statue was in too poor of a condition to remain safely in place and made a replica from aluminum. On June 14, 1986, the Mississippi National Guard used a special "Skycrane" helicopter to place the new Goddess atop the dome. 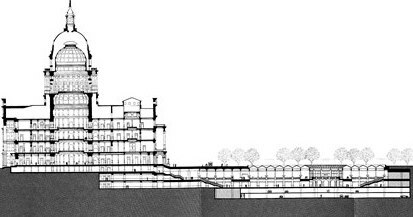 Conceptual drawing of the Capitol and the Capitol Extension, 1989. 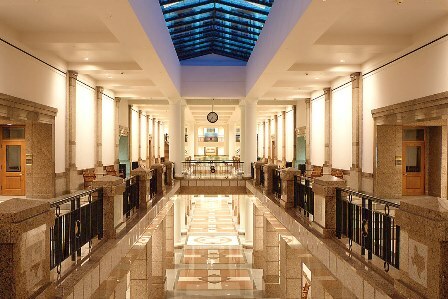 The State Preservation Board developed the Capitol's Master Plan. 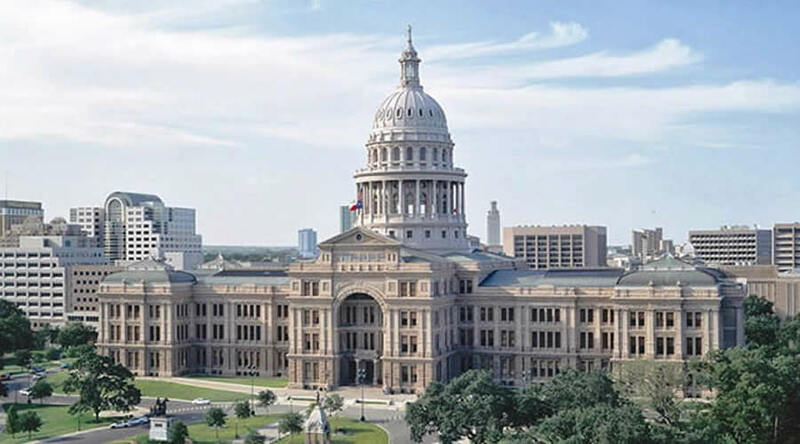 The Plan's goals included preserving the building's structural integrity while restoring the Capitol to its original grandeur, ensuring that the Capitol remained the functional seat of Texas government and creating a safe working environment. The Master Plan recommended building an underground structure to alleviate overcrowding. 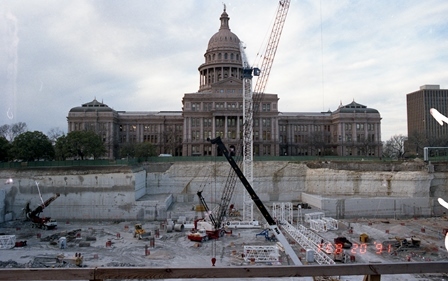 Work commences on the Capitol Extension, which covers 3.7 acres, approximately the size of four football fields, 1991. 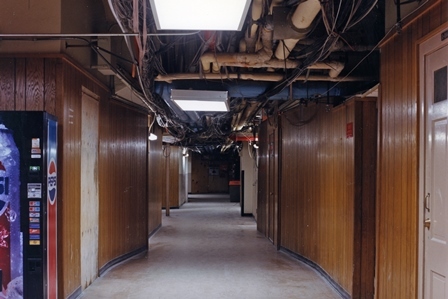 Construction began on the four-story underground Extension connected to the Capitol and other office buildings through a series of tunnels. Workers excavated a 65-foot site by digging through the limestone using a diamond belt saw with a 10-foot blade. 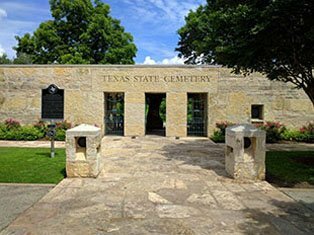 They hauled out about 40,000 truckloads of dirt and pulverized limestone from the site. 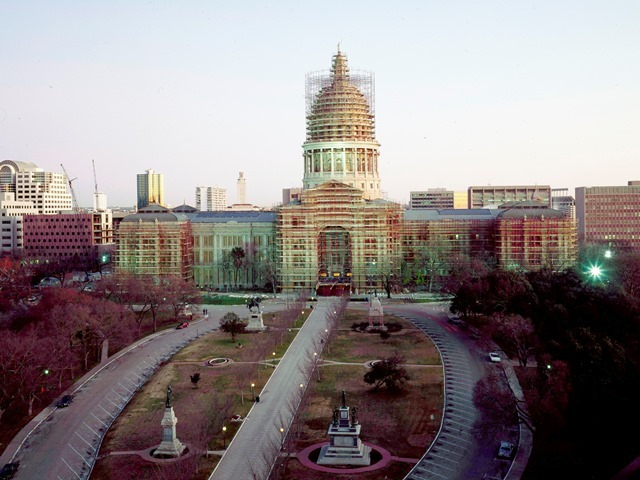 Scaffolding surrounds the Capitol's exterior, 1991. 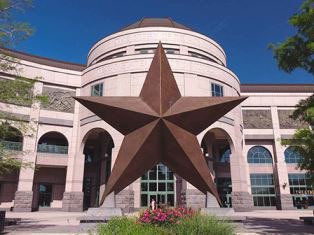 Image Courtesy Texas State Library and Archives Commission, 1992/055-02. 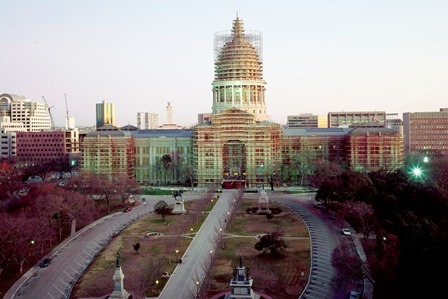 Restoration of the Capitol exterior began with scaffolding over the entire building. Workers made repairs to the metal dome and roof, granite, mortar and architectural detailing, which stabilized the building. 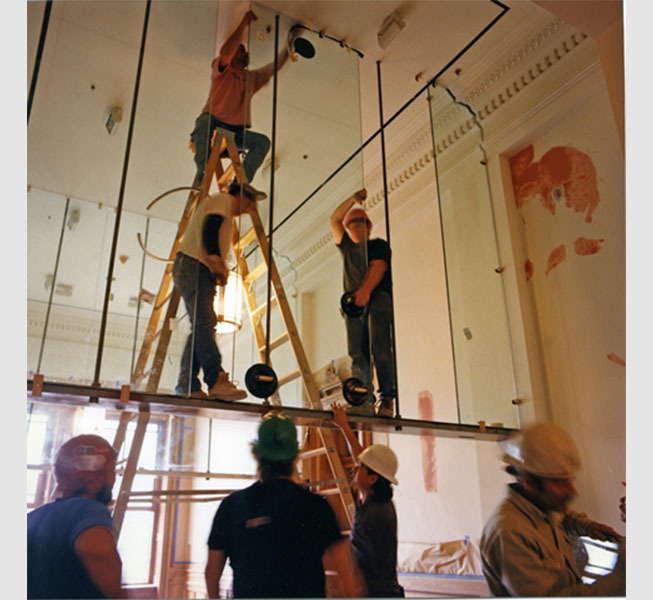 Workers installing glass partitions, c. 1993. Restoration of the interior began. 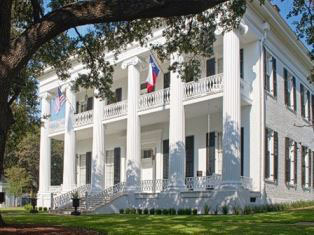 The project opened up many historic spaces to their turn-of-the-century appearance. 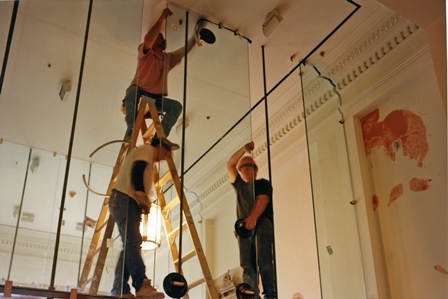 Tall glass partitions divided spaces while still maintaining the original architecture. The Capitol Extension more than doubled the floors pace of the Capitol, c. 1993. 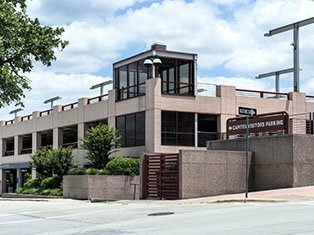 The Capitol Extension opened with 667,000 gross square feet of new space for offices, conference rooms, committee Rooms and an Auditorium. 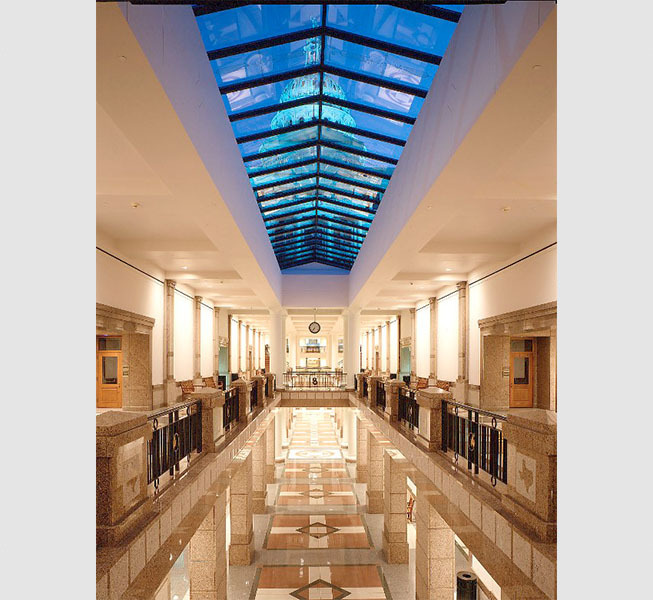 Skylights provided significant natural light and architectural elements and motifs complemented those in the Capitol. The restored Agricultural Museum, c. 1995. 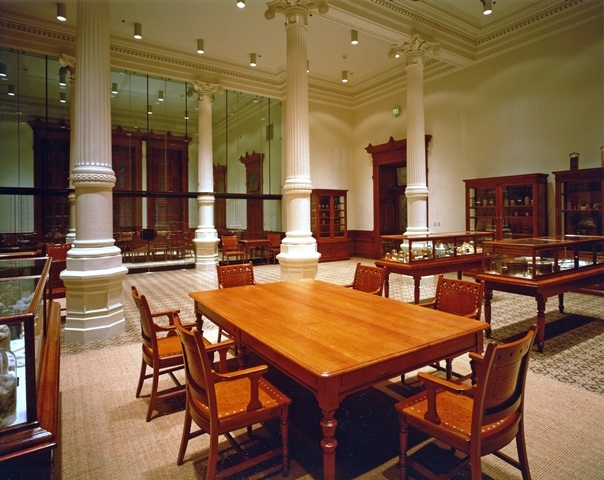 The Restoration identified ten historic and significant spaces. 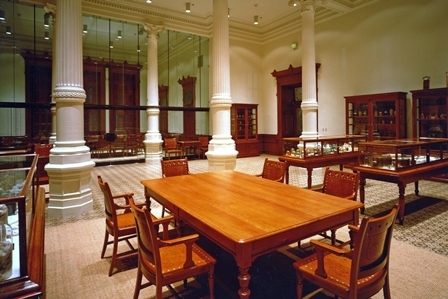 Preservationists returned the Senate Chamber, House Chamber, historic offices, library, courtrooms, the Treasurer's Business Office, Agricultural Museum and the public corridors to their 1888-1915 appearance with original or reproduction furniture as well as artwork and decorative elements. 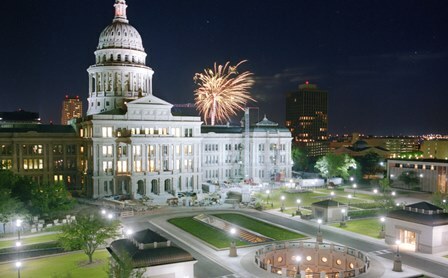 Texas Capitol Fourth of July, 1995. The Capitol Restoration was completed. 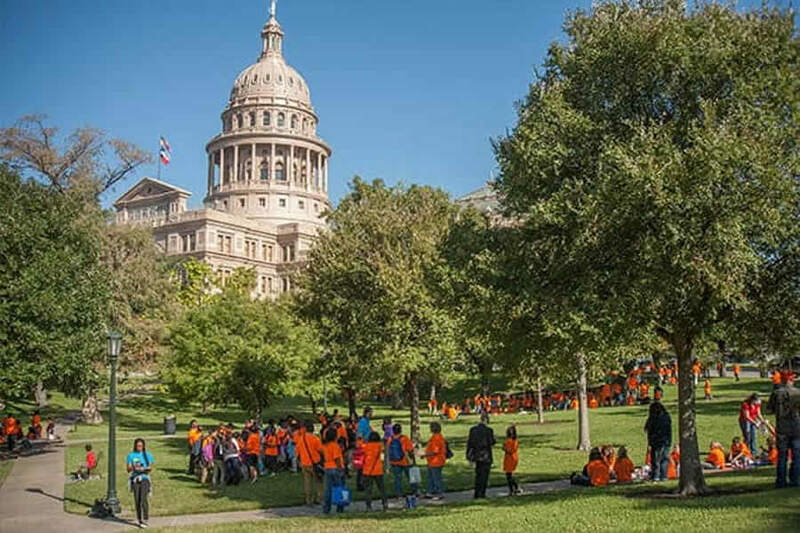 The project returned the Capitol to its glorious past as well as prepared it for the future. The Restoration made life safety a priority and made the building code compliant. 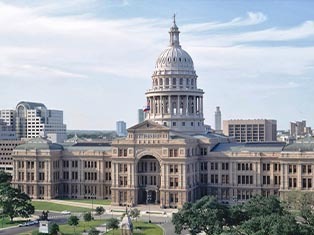 The Capitol had new plumbing, electrical and communication systems as well as efficient environmental systems installed.